As we are about to roll into July, it’s time to show-off the red, white, and blue!! I know many of you, like me, are in full-on summer party mode and are looking for Fourth of July Ideas. 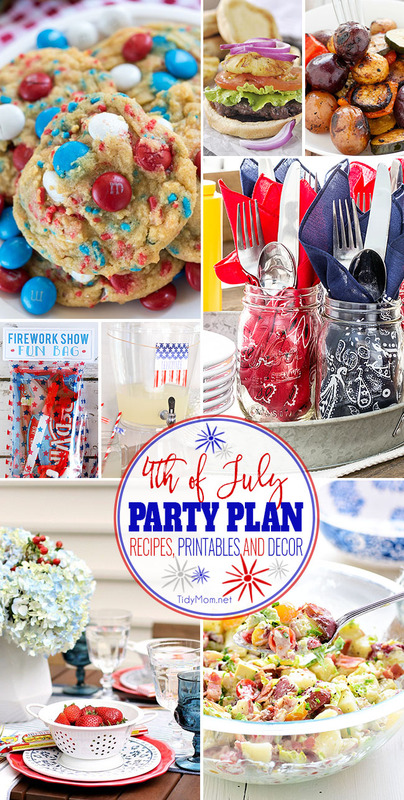 From recipes to patriotic decor you’re sure to find plenty of ways to SPARK YOUR FOURTH OF JULY with some of the features that caught my eye from last week’s linky party. Fire up the grill, make a pitcher of lemonade, grab the bocce ball and a few of these 4th of July ideas and you’re ready to go! This is week 355 (7 years) of hosting this I’m Lovin’ It linky party. Each week I feature some of the posts that caught my eye from the previous week. Please take a moment to visit the featured blogs ……..then scroll down to see what’s being shared this week. Need More Fourth of July Ideas?! 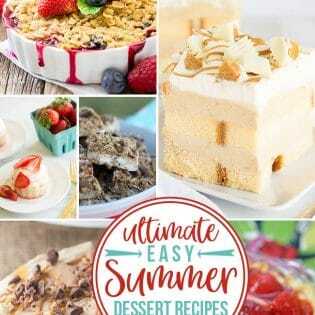 Ultimate 4th of July Party Plan, from recipes to decor and more! Three Cheers for the Red, White, and Blue!! 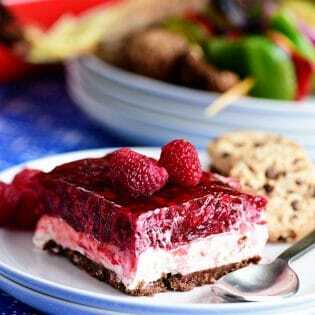 Patriotic recipes and craft ideas for 4th of July or Memorial Day celebrations. 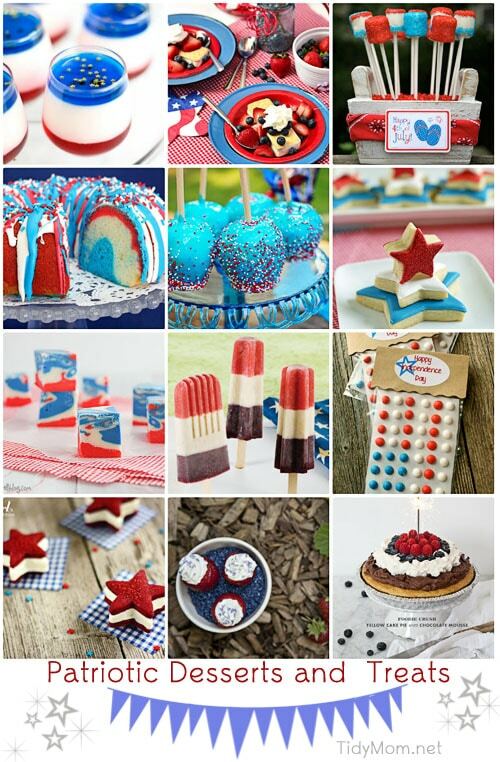 Red White and Blue Entertaining Ideas, recipes, decor and printables. What’s your favorite party about 4th of July? 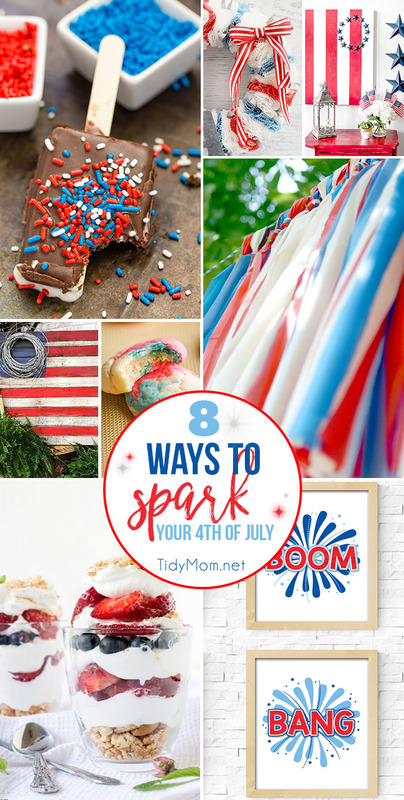 **Share your ideas for 4th of July in the TidyMom FACEBOOK COMMUNITY! – all the cool kids are joining! !